I ASK: “RESIST AND OVERCOME” WHAT? AND WHAT IS THE IDEA? WHAT IDEA DOES THE TERM “SUBVERSIVE” CONVEY IN CUBA”? WHICH IDEAS DO THE WORD “CLANDESTINE” INTRODUCE INTO CUBA? QUESTION: HOW FAR-REACHING (EVEN EXPORTING INTO THE U.S.) AND RELATIVELY WEALTHY IS THIS BUSINESS COMPARED TO ORDINARY MORE PATRIOTIC SMALL BUSINESS OWNERS. HOW DO THE LATTERS’ IDEAS AND VALUES CONTRAST WITH THOSE OF CLANDESTINA? 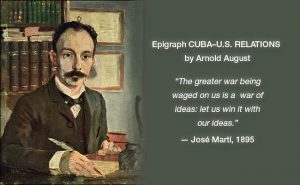 This example, among many others, confirms the well-documented thesis regarding the war on ideas (or cultural war) in my book CUBA–U.S. RELATIONS. 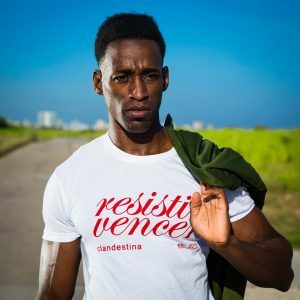 This T-shirt business and its owner were explicitly promoted by Obama during his March 2016 visit to Havana. The owners graduated from the Columbia Business School’s Entrepreneurship and Competitiveness in Latin America Program. The CLANDESTINA business model has thus been handed over to the Trump administration on a golden platter. Therefore, it is also an example how the basic U.S. policy of trying to subvert the Cuban Revolution under both Obama and Trump have certain features in common. 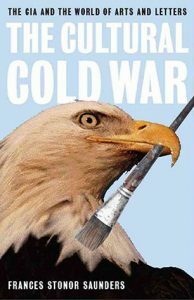 Am I (and prestigious Cuban writers cited in my book such as Luis Toledo Sande, Elier Ramírez, Iroel Sánchez & others) wrong when we contend that there is indeed a cultural war in progress? It is not a question of T-shirts, but the message. Whether you agree or not, everyone is welcome to attend and debate. This entry was posted in Arnold August, USCubaRelationsExpert and tagged Arnold August, Cuba Trump, CubaExpert, CubaPolicy, CubaUSRelationsExpert, TrumpCubaPolicy by Arnold August. Bookmark the permalink.